How black holes clean the dust from their room! 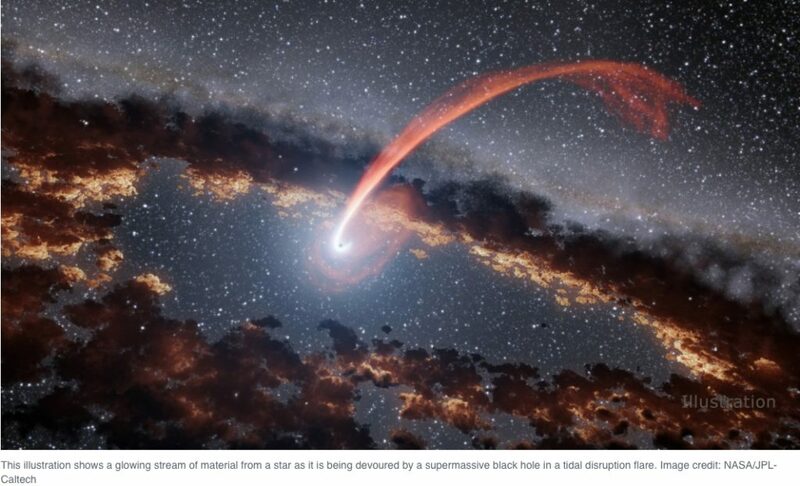 When a star passes close to a black hole (BH), the enormous gravitational force of the BH pulls the stellar material. This phenomenon is called “stelar tidal disruption”. During this process an immense amount of energy is released and the surroundings of the BH are brightened in an event called a flare. These flares contain high-energy radiation, including ultraviolet and X-ray light, that destroys any dust up to a radius around the black hole. It is like the BH uses these flares to clean its room!